To add a new vendor that you have not previously added to your Catalog or Inventory lists, please follow the instructions listed below. 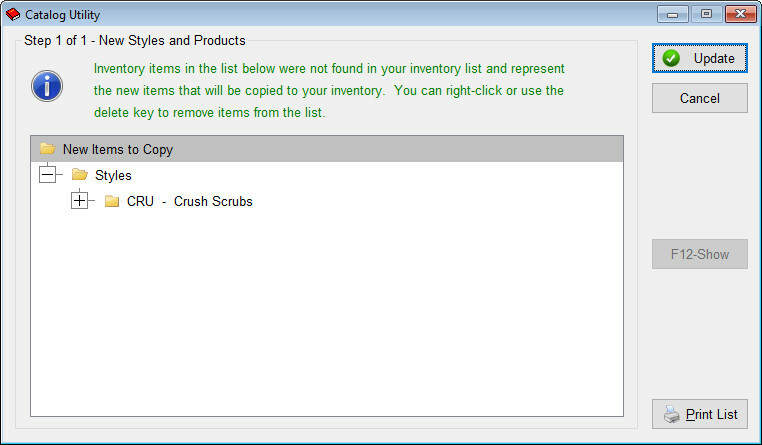 We’ll be using Crush Scrubs as our example. 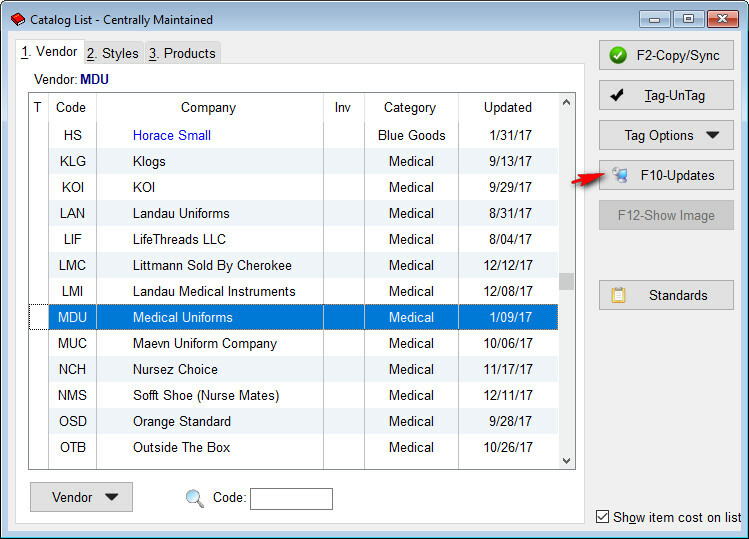 When the Catalog List opens, press the F10 Updates button on the right-hand side of the screen. 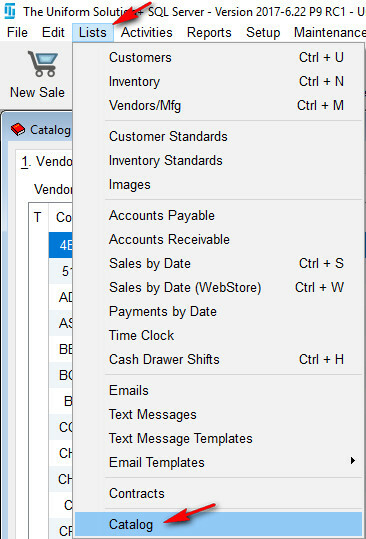 If you get a message that your catalog is up-to-date, click the “VIEW” button. 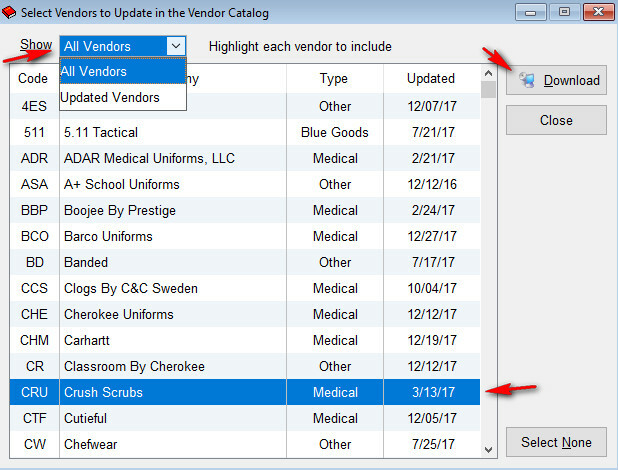 When the “Select Vendors to Update in the Vendor Catalog” screen opens, go to the Show: field click the down arrow and select “All Vendors.” Next, scroll down the list until you locate the vendor you wish to download then highlight the vendor and press the Download button. When the catalog has been successfully downloaded, the Catalog Updated screen will appear. Click OK to continue. 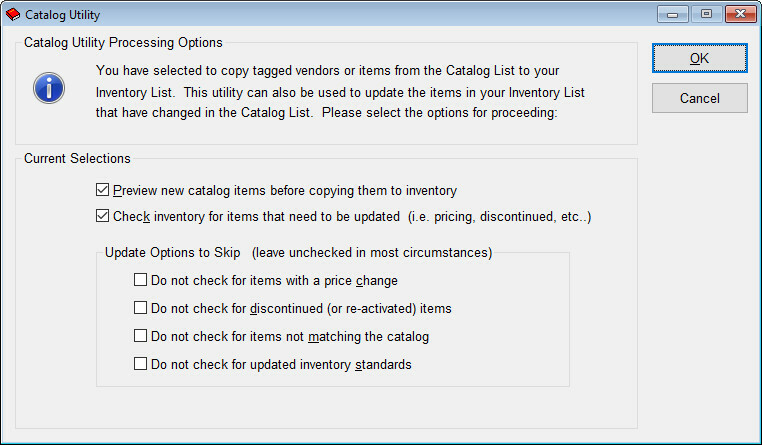 The Catalog Utility screen will open to assist you in copying the new vendor to your inventory. Accept the default settings and click OK to start the copy process. Since this is the first time copying this vendor to your inventory only one screen will appear, and that is the “New Styles and Products” screen. Click the Update button to copy the styles/products for this vendor to your inventory. The “New Items Successfully Copied” screen opens advising you that the new items have been copied to your inventory list. Click Ok and you will be returned to your catalog list.